I love the fact that blogging and social media has allowed me to connect with so many wonderful people around the world. Some of whom are now close friends of mine. I am always amazed and inspired by the wisdom and talent that others share in the hopes of making workplaces and our lives better. 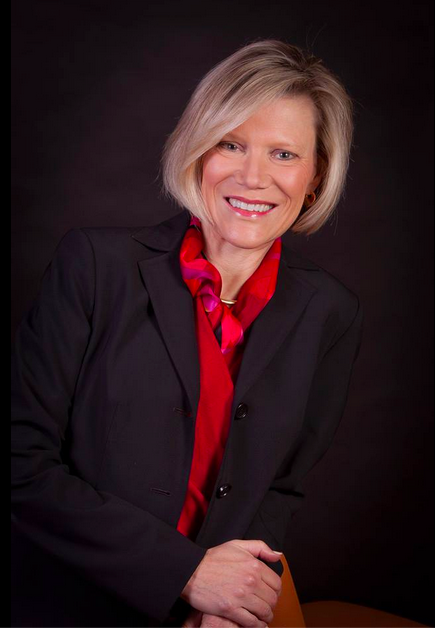 Recently I connected with Shelley Row, who teaches leaders to think and feel – use information and intuition. 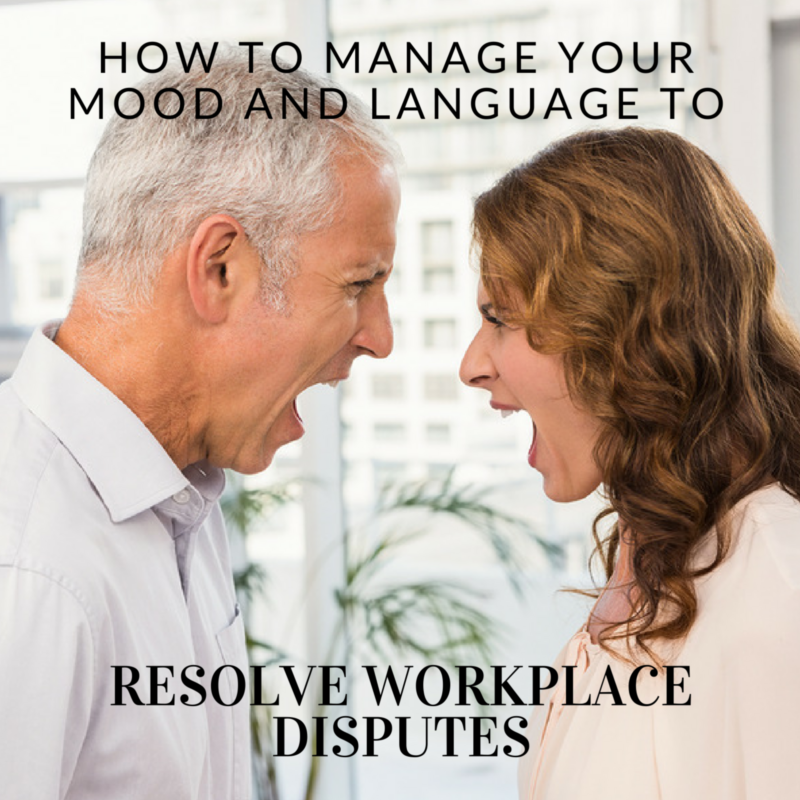 I am happy to host a guest post from Shelley today on how to manage your mood and language to resolve workplace disputes. Describe the situation without assigning blame. “He is the reason the project was late” is an example of agentive language. Agentive language makes a person the subject of the action (the late project). “The project was late” is non-agentive language. Research shows that the use of agentive language has a noticeable effect on assignment of blame and judgment. Studies that assigned financial liability found that agentive language descriptions resulted in 30 to 50% higher judgments. In our example, the upset worker stated her grievance by assigning blame to the other person. Without conscious awareness of agentive language, you are more likely to agree with that judgment. Instead, reframe the problem, as “the project was late” then evaluate all reasons that contributed. It will result in a more objective evaluation. Know your mood and its impacts. Your mood creates context through which you hear and process information. If you are in a good mood, positive information (congruent with that mood) is easier for the brain to integrate and understand. Conversely, negative information is much harder to process if you are in a good mood. Similarly, if you are in a bad mood, it is easier for your brain to process negative information. Be aware of your mood when listening to an agitated employee. While negative words are harder to process in general, you are more likely to process them if you got up on the wrong side of the bed or your computer just crashed. The bottom line is your mood can bias your interpretation of the situation. Consider your mood as you weigh the “he-said-she-saids” of the situation. Recognize language that goes against your values. Comprehension is slower for words and descriptions that espouse a value judgment that is different from your personal beliefs. For example, my brain hesitated when this employee said, “I have to hold his hand every step of the way.” Personally, I value “self-sufficiency” so the idea of “holding his hand” flies in the face of my principles. I missed the next few sentences of the conversation as my brain tried to reconcile this information. You need to know your values so that you quickly recognize language that gets in the way of understanding and objectivity. Ask for clarifying language, or for the problem to be described in different words. This will aid you in separating your value system bias from the actual situation. Look for solutions when your mood is positive. Neuroscientific research shows that a happy mood facilitates semantic processing and increases cognitive flexibility, which leads to creative outcomes. A sad mood, on the contrary, promotes a narrow focus on external stimuli and analytic processing. You need to find a wise, fair and objective resolution to employee disputes that maintains morale and productivity. This kind of wisdom benefits from creativity, and creativity benefits from a good mood. Don’t try to resolve the dispute on the day the dog chewed up your new shoes or your child broke a window with a baseball. Wait for the day when your kid gave you a big hug on the way out the door. With a smile on your face, look for creative options to resolve the problem. References: Fausey, Caitlin and Boroditsky, Lera. Subtle Linguistic Cues Influence Perceived Blame and Financial Liability. Psychonomic Bulletin & Review, 2010, 17(5). Egidi, Giovanna and Nusbaum, Howard. Emotional Language Processing: How Mood Affects Integration Processes During Discourse Comprehension. Brain & Language, Elsevier. 2011.